We are a small, friendly family run company serving Teesdale and the surrounding areas, manufacturing high quality purpose-made joinery products for both historic and modern properties in hardwood, softwood and MDF in our modern, spacious workshop. We supply and install a vast range of joinery products for both commercial and residential properties. Our range includes doors, windows, bookcases, staircases, skirting boards, architrave, dado and picture rails, moulded by ourselves to match original patterns. Over the years we have done a wide range of work, in a variety of different timbers, from refurbishing vintage farm implements, to making one off bespoke items designed by the client. 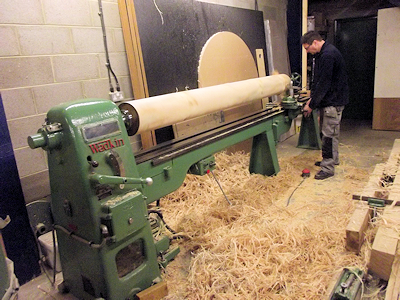 As we are located in a Conservation Area a large amount of our work is on listed buildings where we have to replicate original joinery products so we have great experience and knowledge in producing a varied array of doorframes, doors, windows and mouldings of all designs and sizes.